2016 is shaping up to be the most exciting year to date at Delvinia. With continued double-digit growth for AskingCanadians; our new research automation platform, Methodify, celebrating its first year; the launch of our Innovation OS; and the re-alignment of our consulting services towards innovative data collection solutions under DCS, this has been one exciting year. At the end of last year, we established our Leadership Team, a selected group of senior employees that would play a significant role in 2016. This group’s mandate was to help manage our growth, uphold the vision of our Delvinia culture – which is built on a foundation of authenticity and trust – and to be part of the change management needed to help all of our employees along our fast-growth journey. 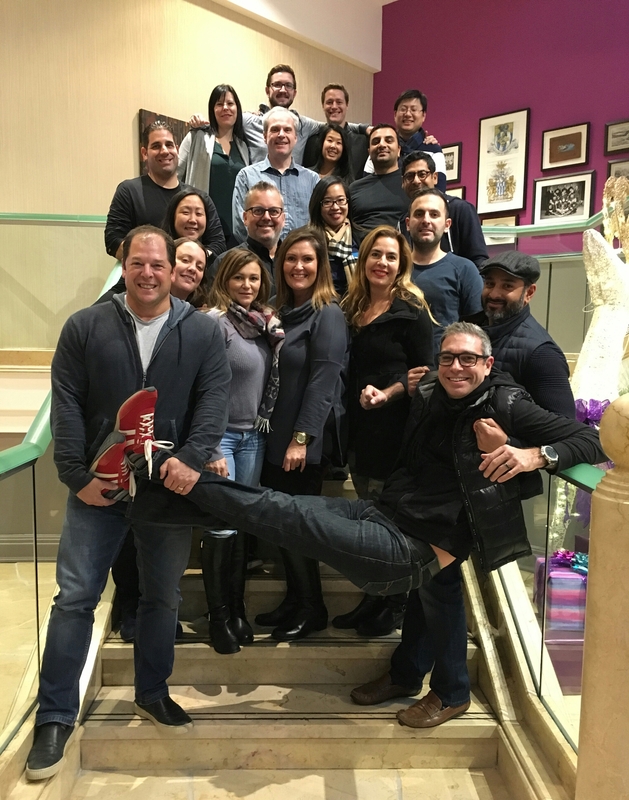 We took this group of 13 individuals to a Leadership Offsite in Muskoka in November 2015 to discuss our three-year growth plan and to set the priorities for this year. Last week, we held our second Leadership Offsite in Niagara Falls. This offsite came on the heels of a year filled with new responsibilities for the team, each of whom had to accept the accountability that came along with their new roles. We’ve also had to address the HR challenges that come with growth while striving to maintain our industry-leading service levels. And for me personally, the past year has seen an evolution of my role as CEO as I disconnected myself from the day-to-day operations of the business to focus more on the strategic growth of the company. Last year, we introduced the concept of collective leadership. Collective leadership, when properly cultivated, can lead you to the accomplishment of shared goals and the objective of delivering products and services that people love. Getting our team to measure their own personal success based upon the collective success of our entire team, was a concept that took some time to fully embrace. Last year’s offsite was about helping our new Leadership Team embrace their fears of going outside their comfort zones to take on their new roles for 2016. While we introduced a collective mindset, most of our team have always measured their success on their own individual contributions. This is not unusual for most organizations, but the vision of our success would be measured on our ability to work together towards one collective goal. Given the challenges of the past year, I was not sure how the team would respond at this year’s offsite. But something special happened. Things had changed. The struggles faced during the year led to incredible confidence. The anxiety of taking on new roles had led to an unbelievable level of communication among the team. A singular energy emerged that went beyond any one individual but was based upon a new collective energy. Even the new people that attended the Leadership Offsite for the first time were embraced and enveloped by the team. As CEO, I watched the team not only embrace the concept of collective leadership, but form a singular mindset that was based upon a collective energy and focus. As my role continues to evolve from an entrepreneur with a passion for digital to a CEO leading a high-growth and innovative group of companies, I realize what we are building is much more than simply my vision, but a company run by a Leadership Team that embodies a philosophy of collective leadership, combined with their ability to uphold our culture of authenticity and trust. Great companies are built by great people, and I can’t wait to see where my team will take us in 2017.